We address the \(\ell _1 \)-norm minimization problem, which plays an important role in the compressed sensing (CS) theory. 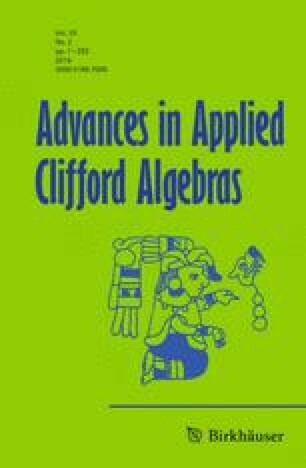 While most previous approaches are designed for signals of low dimensions, we present in this paper an algorithm using geometric algebra (GA) for solving the problem of \(\ell _1 \)-norm minimization for multi-dimensional signals with and without noise contamination by converting it to second-order cone programming. The algorithm represents the multi-dimensional signal as a multivector in the GA form to process it in a holistic way without losing the correlation among different dimensions of the multi-dimensional signal. Numerical experiments are provided to demonstrate the effectiveness of the proposed algorithm and its robustness to noise. The proposed algorithm can also be used to guide perfect recovery of multi-dimensional signals, and may find potential applications when CS theory meets the multi-dimensional signal processing. This work was supported by National Natural Science Foundation of China (NSFC) under Grant nos. 61771299, 61771322, 61375015, 61301027.